Our great grandfather was the first to become involved in the production of quality baked goods. Today, consumers all over Europe relish the delectable baked delicacies whose recipes are still going back to our family roots. 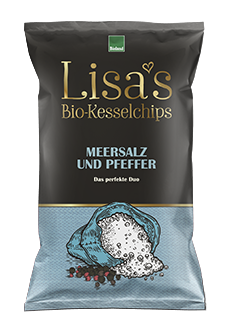 Back in 2005, our family founded the Lisa’s Chips fine Brand. 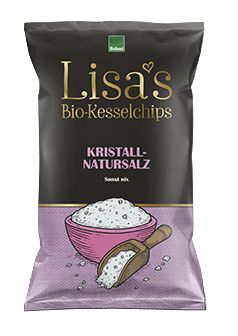 The idea was simple: use the whole potato, including the skin. Nothing mashed or pressed! 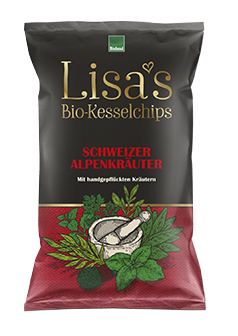 This is the only way to lock in the full flavour of the potato.Our view of the fields and meadows of the Alps is stunning and wonderfully reflects the uniqueness of our products. 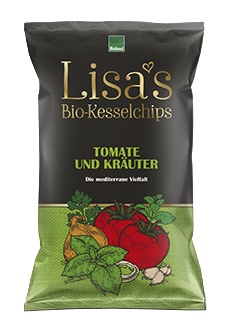 We only use Bioland organic potatoes, organic spices and organic sunflower oil. 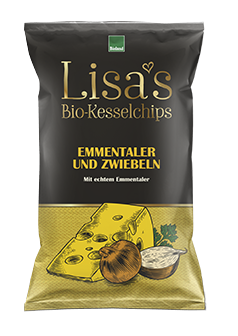 The potatoes are regionally sourced from Bavaria and Baden-Wuerttemberg. We pay very close attention to impeccable quality and reliability when selecting our personally known suppliers. 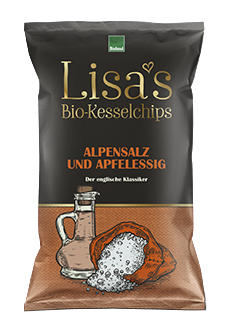 The short transport distances from the field to the crisp factory ensure the spuds are always processed freshly and undamaged. Innovative kettle technology and production in small batches, far from all conventional production methods, ensure the outstanding quality of our products.